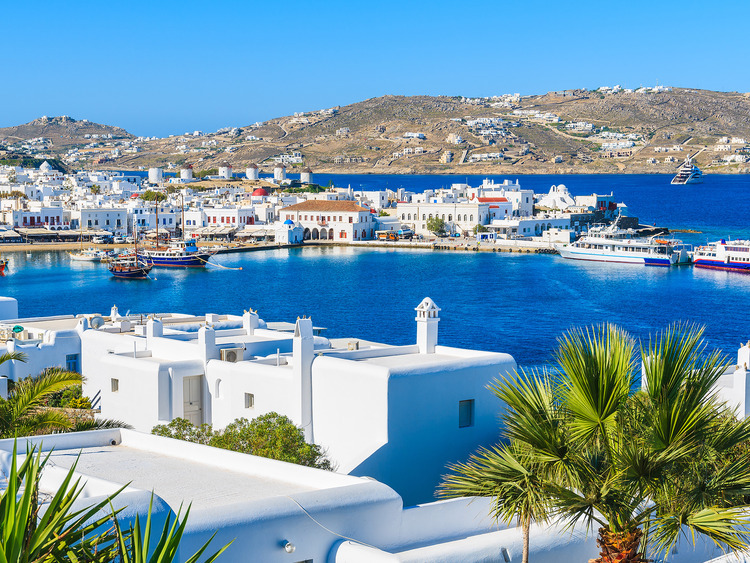 Mykonos captivates us with its spectacular views, picturesque villages and beaches of rare beauty. We explore some of the more unusual places on the island by jeep and then dive into the crystal clear waters of Agrari beach. We leave the port by jeep and drive on to the first stop of our excursion: the wild and enchanting Houlakia beach, surrounded by the typical white houses and dominated by the distinctive lighthouse. After taking a few photos, we board our jeep again to venture into lesser known and undeniably fascinating places. We cross the Marathi area, pass the dam and Panormos beach to reach the fascinating, wild bay of Agios Sostis. We then proceed in the direction of Ano Mera, a picturesque village in the heart of the island, and we stop at Paleokastro to admire the ruins of an ancient Venetian castle. The impressive panorama is captivating, with cultivated fields and a nearby old, abandoned mine. In Ano Mera we can savour the flavours of this splendid land with a delicious Ouzo and meze based refreshment. We proceed along the southern coast, passing by Kalafatis and Kalo Livadi, to reach the lush area of Halara. Our excursion ends at Agrari beach, where all we need to do is give in to the call of the stunning crystal clear waters for a cool swim, before returning to the port of Mykonos. You will need to have held a valid driving licence for at least 3 years and be over the age of 23.